The Council of Management Experts is a unique initiative to bring together management experts from across the globe and create a collective pool of expertise and wisdom for the benefit of the Global Legal Industry. It is a platform for the sharing of knowledge, discussing implementable ideas as well as promoting expertise in the field of management in the legal industry. Legal League Consulting with its position as the Pioneer and Industry Leader in India, is facilitating this collaboration in order to catalyze the growth of the Indian Legal Industry and gradually the Global Legal Industry. 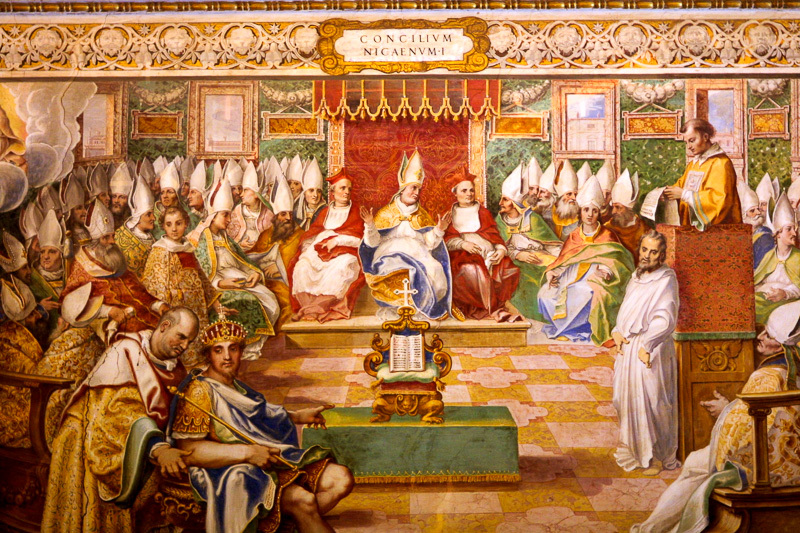 At the council, all the experts bring their wisdom, expertise and experience which is widely acclaimed and acknowledged through large sections of the industry and various jurisdictions. This would allow the Council to influence the key aspects of Management and shaping up of the legal industry. The council will discuss the management related issues in Law Firms, LPOs, Legal Departments and other constituents of the Industry; and try addressing the operational and/or strategic challenges to enhance Practice efficiencies and improve cost economies. The council will add more experts to the panel to cover wider managerial areas and aspects. Bithika has close to three decades of experience in the business and- professional consulting domain. She is the Founder and CEO of Legal League Consulting – India’s first management consulting company for the global legal industry. She brings a highly experienced and practical solution-oriented approach in identifying priorities, driving initiatives and crafting implementation plans for business performance and growth. As part of the core management team of her clients, she works closely with Managing and Senior Partners as well as General Counsels and Legal Heads, advising them on various strategic and financial initiatives, and implementation of Practice/Firm specific growth models. She focuses on assisting clients in successful execution of Practice/Firm strategy – particularly on operational and financial performance, thereby, catalysing growth. Bithika is a Principal with EDGE International, advising on India specific growth and business initiatives. As an Honorary Consultant to the Society of Indian Law Firms (SILF) and Member of National Advisory Board of Indian National Bar Association (INBA), she works with the organisations and its members advising and assisting them in complying with best industry practices. Before founding Legal League Consulting, she was an integral part of Amarchand & Mangaldas & Suresh A. Shroff & Co., Delhi – India’s premier law firm. During her 11 year stint at the firm — first as the Chief Financial Officer, then in a dual role as both the Chief Financial Officer and the Chief Operating Officer— she worked closely with the Managing Partner on various strategic, financial and growth initiatives. It is under her stewardship that the firm implemented modern management processes, compliant with the best practices in the world. Prior to this, she worked at S.B. Billimoria & Co. and KPMG, both leading accountancy firms, for over 10 years. At S.B. 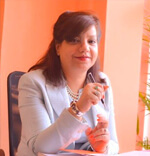 Billimoria & Co., she conducted a variety of internal and statutory audits for major national & trans-national companies; formulating strategic business plans, expansion plans and India entry strategies. A chartered accountant by profession, she also holds a Post-Graduate Diploma in the Management of Legal Practice from Nottingham Trent University. Gerry is a Canadian lawyer and Business School graduate with an experience of over 40 years and a global reputation as an author, management consultant and pioneer in the field of professional firm economics and marketing. He is a Principal at EDGE International – a global management consulting firm founded in 2001 with active clients in the USA, the UK, Europe, CIS (formerly Russia), Canada, Australia, the Far East, South Africa and elsewhere, in all, over 30 countries. Gerry has worked with and advised the most prominent professional service firms in the world, has led numerous workshops, retreats and seminars and has been engaged to assist firms requiring marketing, strategic planning, one-on-one coaching, merging, multi-office management, practice group and industry group management, client relations skills training and management training. A popular facilitator, mentor and retreat speaker, The Financial Post described him as “Canada’s professional firm management and marketing guru, with a client base stretching from Britain to the United States”. Gerry has served the Conference Board of Canada, is a Visiting Fellow of The College of Law in London and a Visiting Professor at the University or Pretoria in South Africa and is a Fellow of the College of Law Practice Management. Before setting up EDGE International, he was the Managing Partner of Snyder & Company – a law firm with offices in Canada and Hong Kong. Prior to that, he was a Partner at one hundred-year-old Emery Jamieson. Ida Abbott ? Mentor at Ida Abbott Consulting, has been helping employers develop, manage andretain legal talent since 1995. Ida has long been recognized as a leader in the fields of mentoring and sponsorship, leadership development and professional development of high achieving individuals seeking professional success, and is a Fellow of the College of Law Practice Management. For many years, Ida has been at the forefront of efforts to promote women in the legal profession. She is co-founder and Director of the Hastings Leadership Academy for Women at the University of California Hastings College of the Law, and serves as a Faculty Fellow. She serves on the Advisory Boards of the New York Women?s Bar Association Foundation and the Women?s Bar Association of the District of Columbia Initiative on Retention and Advancement of Women, and was Bay Area Co-Chair of the Women in Law Empowerment Forum. Ida is actively involved in lawyers? professional development, particularly mentoring, sponsorship and leadership; and organizes Roundtables for women law firm leaders and professional development leaders on a regular basis to learn, share and network with each other. Ida serves on the Executive Committee of the National Legal Mentoring Consortium, as Advisor and Research Panelist for the Institute of Mentoring, and as Special Advisor to the International Bar Association?s Law Firm Mentoring Program. She is a founder and former board member of the Professional Development Consortium, served as Vice-Chair of the Academic and Professional Development Committee of the International Bar Association, and has held many other leadership positions in bar associations and legal organizations. Before starting her consulting firm, Ida practiced law for 20 years. She specialized in complex litigation at Heller Ehrman LLP, where she also ran the firm’s professional development and pro bono programs. She often served as a judge pro tempore in the San Francisco Superior Court and as a private and court- appointed mediator and arbitrator. Ida received her J.D. from Hastings College of the Law, M.A. from the University of Miami, and A.B. from Smith College. Richard Burcher is a former New Zealand practicing lawyer with over 30 years experience. He is widely regarded as the leading international authority on pricing legal services and advises regularly to major clients on pricing related issues and building pricing strategies. He has worked with a broad cross-section of barrister?s chambers and law firms with turnovers of ?10 million ($US15m) to ?900 million ($US1.5b). Projects have consisted of in-house pricing training for partners and senior associates, helping firms to establish pricing governance and leadership protocols, pricing analytics capability, large pitches and tenders, pricing support retainer arrangements and pricing capability recruitment. His pricing consultancy services and speaking engagements take him throughout the UK, Asia, India, Europe, Australasia and North America. He is a regular speaker at national and international conferences including the IBA global conference (Dublin, Ireland) and the Commonwealth Law Conference (Hyderabad, India) and the VQ Virtual Intelligence VQ Knowledge and Strategy Forum in Stockholm, Sweden. His legal services pricing research and commentary have been widely published or cited in Commonwealth Law Journal, Global Lawyer, Managing Partner, Harvard Business Review and the Pricing Journal amongst others. Richard is a member of the Professional Pricing Society (USA) and the European Pricing Platform. He is an Advisory Panel member of the newly formed True Value Partnership Institute based in New York, a global panel comprising only around a dozen members including the Pricing Directors in some of the world?s largest and most prestigious law firms in the United States, the United Kingdom and Australia. He is also a consultant to India?s foremost legal profession consultancy, Legal League Consulting. Internationally acclaimed legal commentator Professor Stephen Mayson, a director of the UK Legal Services Institute, an independent public interest think—tank has recently described Richard as ? ?without doubt the leading international legal services pricing consultant?. Richard Pinto is the founder and principal of the RMPC Legal Marketing consulting firm. He and his firm specialize in using strategic marketing and communications – including directories marketing, external/internal communications, differentiation, branding, creating unique client-facing content, and media skills (both traditional and social media) – to build stronger business development teams. As the first IFLR1000 Americas editor, Richard revamped the rankings process in the region, and literally wrote the book on researching law firm rankings for IFLR. During his tenure as editor, he interviewed leading partners at leading law firms in the US, Canada, and in all countries across Latin America. Richard maintains strong relationships with firms in Latin America and emerging markets in eastern Europe and Asia. He continues to advise top-tier US law firms, especially those with an international presence. Richard has more than 25 years of experience at blue-chip enterprises in the editorial, financial and legal industries. He has served in a senior global marketing capacity at NY white-shoe firms Sullivan & Cromwell, Shearman & Sterling, and White & Case, and has advised other top-tier firms like Skadden and Milbank. Richard has written for financial publications like International Financial Law Review and Forbes, and led research for the US Finance section of the 2014 Financial Times Innovative Lawyers edition. In the financial sector, Richard was an asset manager at Lehman Brothers and Citibank. Richard has been a member of the Legal Marketing Association, and was chair of a Special Committee on Directories and Awards for the Law Firm Media Professionals. He has been interviewed for his views on directories marketing, and been invited to serve on legal marketing forum panels. Outside his legal marketing work, Richard is active in civic duties. He is a board member of various committees and councils in his hometown, and currently serves on the executive board of the prestigious Scarsdale Forum advisory board. William P. Cook is the CEO and Managing Director of the International Professional Education Group (iPEG™) located in Chicago, IL. Mr. Cook brings to the Company more than 35 years of experience as an attorney, including 28 years of management and leadership experience in the U.S. Navy, as both an active duty and reserve officer. 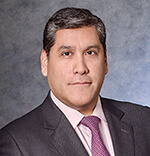 Prior to forming iPEG ™, Mr. Cook was a partner in the global law firm DLA Piper LLP (US), where he Chaired its Communications, E-Commerce and Privacy practice group, advising international telecommunications and media companies on transactional and regulatory issues including M&A transactions and joint ventures. Long active in India, Latin America, Europe, and the Middle East, Mr. Cook is recognised by Legal 500 for his strategic practice combining technology and telecommunications. He was also the Co-Chair of DLA’s U.S.-India practice. He also worked as the Managing Member of the Global Migration Law Group, PLLC and as a Managing Director of Nuevos Destinos, LLC. Mr. Cook has represented clients on the national security aspects of doing business in the U.S., including the Foreign Agents Registration Act (FARA), the Committee on Foreign Investment in the US (CFIUS), the Electronic Communications Privacy Act (ECPA), the Patriot Act, and the Foreign Intelligence Surveillance Act (FISA). During his long tenure in U.S. government service, he served in both the Civil and Criminal Divisions, of the U.S. Department of Justice. He is the former General Counsel of the U.S. Immigration & Naturalization Service (INS). Mr. Cook also has extensive litigation experience with Department of Justice (DOJ) and in the United States Attorney’s office in Baltimore, where he represented the U.S. in several high-profile money laundering and medical device seizure actions. He also served as Senior Counsel, Office of Legislative Affairs (OLA) in DOJ, where his portfolio included immigration, intelligence and telecommunications issues. His government service also includes intelligence community assignments at the National Security Agency (NSA) and in the Office of Intelligence Policy and Review (OIPR) of the U.S. Department of Justice. A retired commander in the US Navy, Mr. Cook is a combat veteran of Operation Desert Storm, where he served on the staff of COMIDEASTFOR and as the U.S. naval liaison officer to the Government of Kuwait and as naval advisor to the Kuwaiti Navy. He is also a veteran of combat contingency operations in Grenada and Lebanon, and served on the Sixth Fleet Counter-Terrorism Task Force. His personal awards include the Meritorious Service Medal, the Navy Commendation Medal, the Navy Achievement Medal (X2), the Combat Action Ribbon, the Presidential Unit Citation, and other service awards. Mr. Cook also advises various nonprofits. He has been a member of the board of directors of the National Veterans Legal Services Project (NVLSP), the Atlantic Legal Foundation, the Board of Visitors of Southwestern Law School, and the Heifetz International Music Institute.